But everyone ages differently. Women go through a specific aging process called menopause. And while every woman will experience it, not everyone is aware of what to expect. No matter what’s ahead, when you understand how your body changes as you age, you will feel ready to march into each new year and decade with confidence. And preparing for healthy aging now can help ease your body into each subsequent phase of life. Whatever your age, there are steps you can take now to get on track for healthy aging. You’re never too old to learn about your body. And you can never start paying attention to healthy habits too early. So, no matter your age, now is the time to start down the road to healthy aging. The choices you make throughout your life are the key to enjoying every minute of it. Your twenties, and thirties are a great time to develop healthy habits that’ll last throughout your life. Start exercising on a regular basis as soon as possible. Partner up with a family member or friend and get fit for the future together. One concern for women and men is loss of strength and bone density later in life. That’s why your younger years are a great time to strengthen your muscles and bones, armoring your body through regular physical activity. All you need is 30 minutes of activity each day. And many of these suggestions can be done with a partner. Build up your stamina and set your body up for comfortable aging by keeping physically fit. Working out during the week is a good start on the road to healthy aging. And a diet of healthful foods can make the trip even smoother. 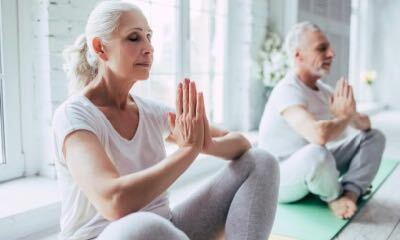 These habits set you up for wellness in your next decade of life. That way when your forties roll around you can meet any aging challenge head on. Aging skin will be the one of the first symptoms you tackle. By your forties, the skin that has served you so well can start to show signs of wear. All the fun in the sun, smiling, and laughing you’ve done shows up in the form of wrinkles. Both women and men can expect to get wrinkles. Here’s why they show up and how you can minimize their appearance. The wrinkles around your eyes and mouth come as the result of intrinsic and extrinsic aging. Intrinsic aging is what happens when your body naturally starts to produce less and less of the proteins that keep skin bouncy and firm—collagen and elastin. This intrinsic aging process actually starts before your forties. In fact, after age 20, your skin produces one percent less collagen each year. So, by your forties you’ve probably noticed a difference in your skin’s appearance. Extrinsic aging also changes the look of your skin. This form of aging accounts for the damage that comes from outside your body. That can include things like tobacco and pollution. You’ll notice extrinsic aging when your skin looks splotchy and uneven in texture. Radiation from the sun is one of the biggest contributors to extrinsic aging. Responsible sun exposure is healthy (15-30 minutes per day). But excess sunlight damages your skin and is the source of most of your wrinkles. 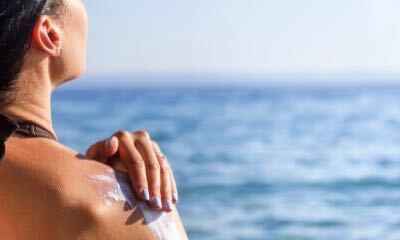 To prepare yourself for the age-associated changes in your skin, sunscreen and sun-obscuring clothing (long shirts, pants, and hat) is your primary defense. Sunscreen protects your skin from damage and should be used every day. For maximum skin protection, try to use sunscreen with an SPF (sun protection factor) of at least 30-35. 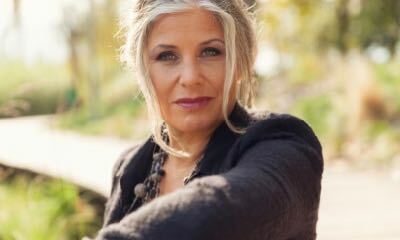 For women, the most noticeable changes of aging come about in your fifties. Menopause begins around age 50 in most women. This final shift in estrogen hormone production can happen quickly, so be on the lookout for some of the symptoms. Estrogen is the hormone that controls a woman’s menstrual cycles. Investing in a good skincare regimen can help with dryness caused by menopause. Moisturizers and creams formulated for mature skin can help your body preserve moisture and brighten your complexion’s appearance. And remember, while many of these hormonal changes might seem dramatic, they side effects won’t last forever. Always keep in mind that menopause is a normal part of aging. Most women transition out of menopause within about five years and see a reduction in most menopausal symptoms over time. 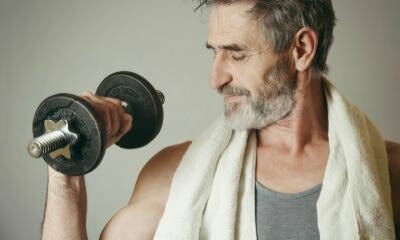 You might be wondering if there is an equivalent hormonal aging process for men. While there is no distinct man-opause (male menopause), men do experience hormonal changes as they age. The previous decades have been preparing you for healthy aging with habits like regular exercise, a healthy diet, and proper skincare. In your sixties, you have the chance to work on perhaps your most important organ of all—your brain. And keeping your brain in good shape will make aging a more enjoyable process. Another way to protect your memory is by eating a diet rich in antioxidants. 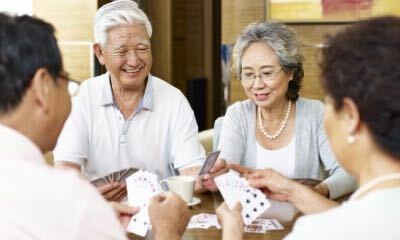 Current research suggests that cognitive decline and brain aging is caused by oxidative damage. Free radicals gnaw away at neurons. Antioxidants target free radicals and help protect your brain cells. You can find a lot of antioxidants in berries. Strawberries, blueberries, and blackberries are great sources. Put them on your breakfast cereal. Eat them as a snack. However you do it, incorporating antioxidants into your diet can support your aging brain. Don’t spend your sixties and beyond worrying about your memory. Activate your brain by learning new things and engaging with your favorite people. Talk, read, write, and learn as often as you can. Keep up a healthy diet with lots of antioxidants and other brain nutrients. Living well doesn’t stop just because you get older. At any age you can have a healthy and happy lifestyle. By preparing for healthy aging in your youth, these transitions can become more comfortable and manageable. You might think that age is just a number. And you would be right. You can embrace that number (no matter how high) knowing you are prepared for healthy aging.